a temporary mural in a long, underground hallway connecting barnard college to columbia university. 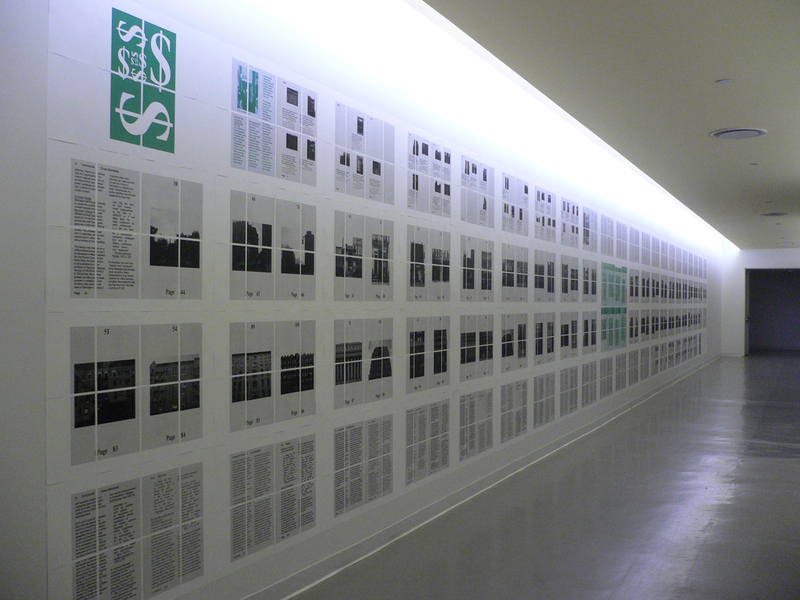 1 – a history of the communist party usa re-presented on the continuous wall of the barnard college tunnel gallery. 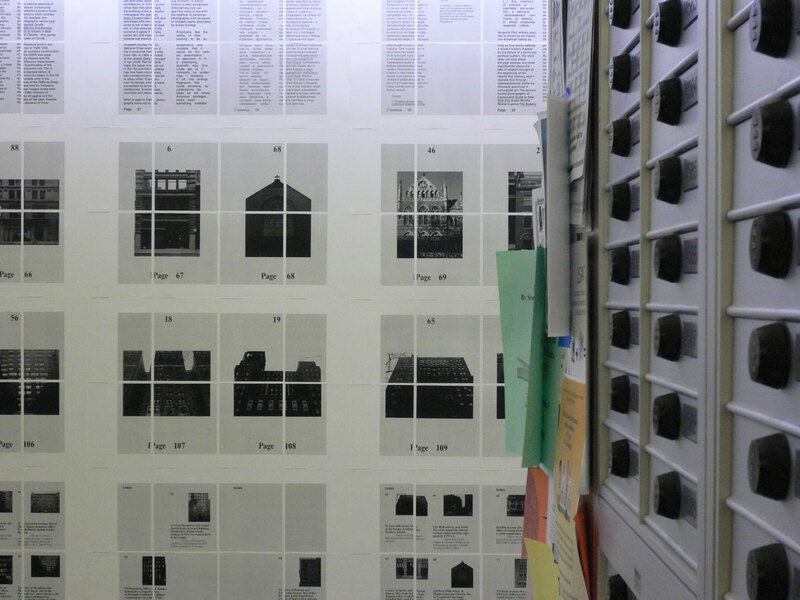 2 – detail view from student mailboxes. an inventory of an underrepresented history. 3 – the toned maps of the communist guide to new york city describe the center of the display. the book communist guide to new york city is displayed its entirety, but scaled to fit the exact proportions of the hallway wall. 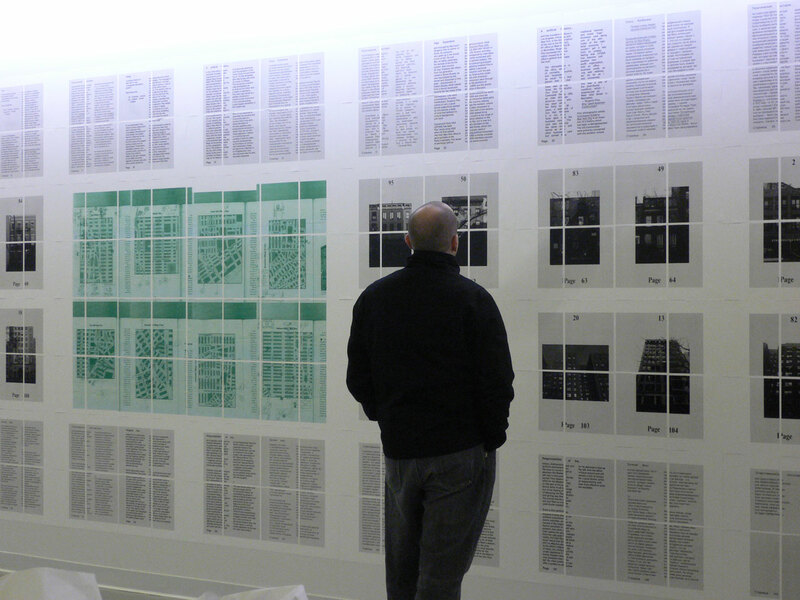 all spreads of the book are printed on 8.5 × 11″ sheets of standard copy paper and tiled on the wall.